If you haven’t guessed by now, I have something of a fondness for horrible unbalanced maps. With the right loadouts, you can become the undisputed king of these horrible spamfests, it just requires a significant amount of time playing them with an open mind, and always trying new things. …in a single 2-sticky jump. Just airstrafe around the middle tower, it’s not a very difficult jump if you get your angles right. Then have fun spamming the little room; use the doorway to the side for cover. This is a great way to ensure your team gets the Australium first. 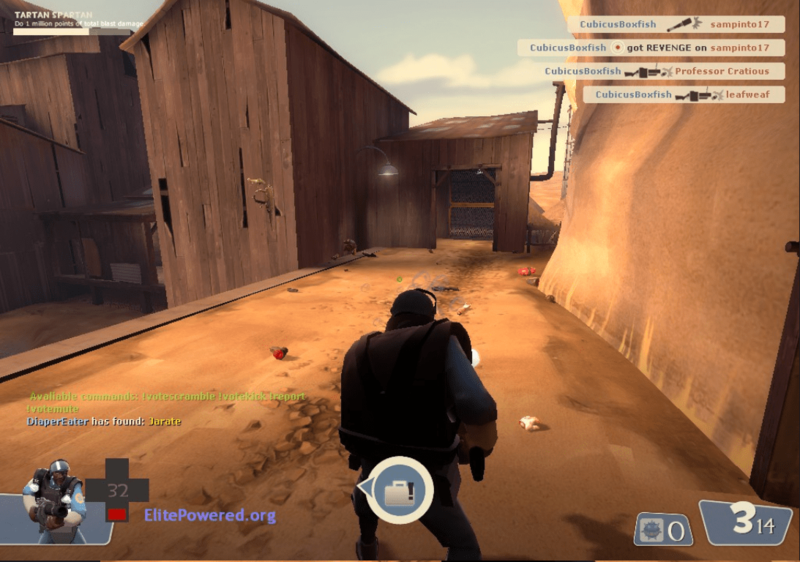 3: Your grenade launcher can destroy a sentry gun anywhere on the map. Doomsday is one of those claustrophobic maps that Engineers love, because if they can build it, the enemy will be forced to die to it. Well, the sentiment goes both ways. Experiment with locations, always favor the high ground and I’ve found there’s basically nowhere for sentries to hide from your grenades. 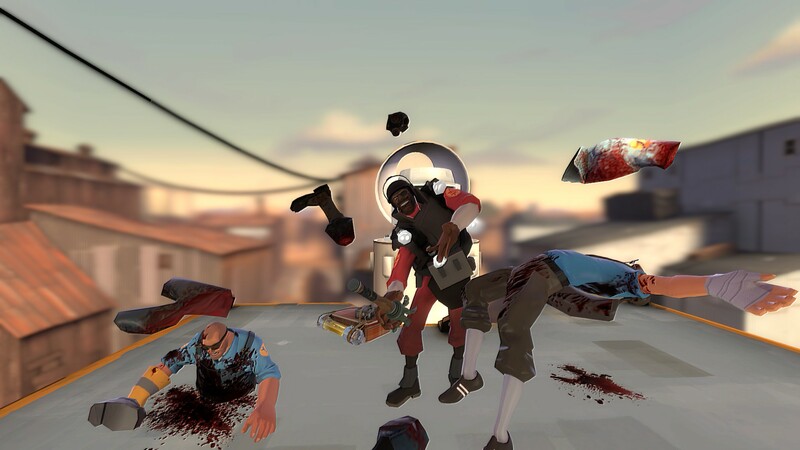 4: Switch to Grenade Launcher/Sticky Jumper/Ullapool Caber demoman. “But aabicus!” I hear you protest. “You cant even pick up the Australium with the Sticky Jumper! Why ever would you equip it on Doomsday?” Well, dear reader, it’s because you have a much more important job; sentry denial and repeatedly cabering the other team if they get their intel onto the elevator. In this crazy cluster♥♥♥♥ of a gamemode, I usually stay as far away from the intel as I can no matter which class I’m playing; it’s like asking everyone on the enemy team to murder you as fast as they can. I prefer to be on the other end of the smoking gun. Or stick grenade. The only other acceptable alternative is Grenade Launcher/Sticky Jumper/Persian Persuader demoman, if you want to focus more on anti-sentry and less on anti-Australium carrier. The tiny map makes it quite easy to reach the resupply locker once you run out of pills, and for reasons I don’t understand the Sticky Jumper doubles your ammo return from the Persian Persuader so your survivability becomes beastly. In Between – Hybrid Weapons? You love sticky jumper, don’t you? 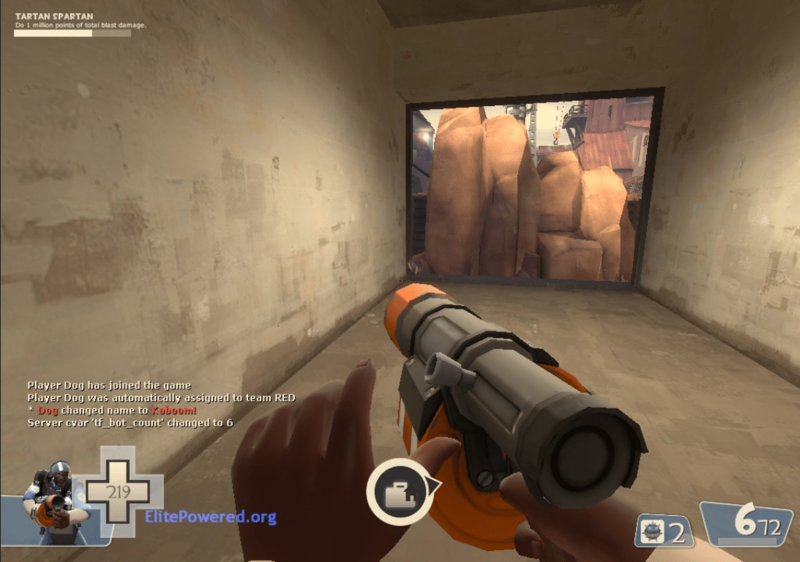 It’s so bad I really need an intervention; I cannot play demoman with the stock sticky launcher. I miss the unbridled freedom of flying through the air and controlling the entire map at will.